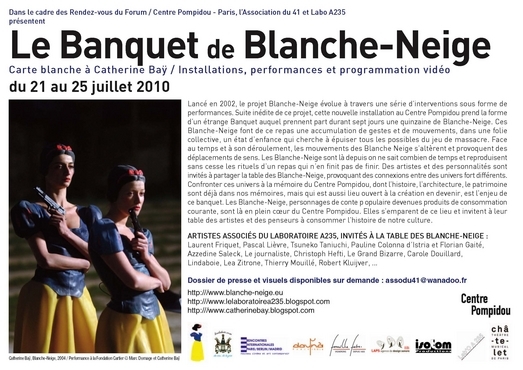 Snow White�s Banquet at the Centre G. Pompidou. By Catherine Ba� at the occasion of �Les Rendez-vous du Forum�. 10 Performance artists were invited, 30 actors et 1 selection of videos.